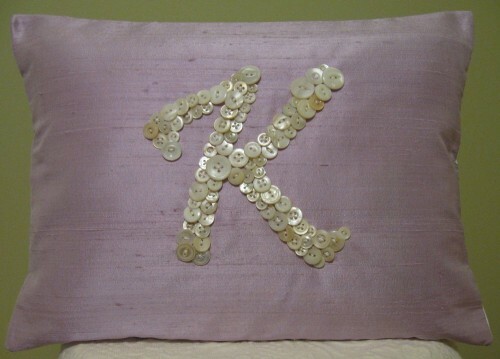 I am super excited about receiving my custom-designed “K” pillow from Etsy user LetterPerfectDesigns. I told her what I wanted, the type and color of the front fabric to use (lilac silk), she sewed vintage mother-of-pearl buttons in the shape of a lovely K, and I selected the toile fabric on the back for a nice contrast. I also selected the 12” x 16” size. This will look great as the foremost accent pillow on my bed for that nice personalized touch! Can’t wait to get it. More pictures to come when it does.